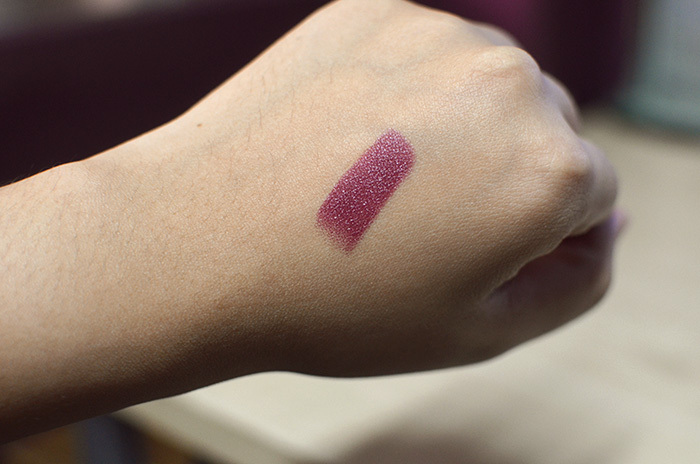 One of the items from the November bntgirls box is the Stylenanda 3CE Lip Color in a very autumnal shade, Vamp. Let’s get packaging out of the way… I am in love with the semi-matte, black, square tube (almost the same as Tom Ford lipsticks, which are just a little shorter) and the clean design with the brand on just one side of the packaging. I love the box as well; I don’t know what it is about it! I don’t normally keep boxes but I just might for this one. Described as a cool and mysterious bloody burgundy, Vamp seems to have a cool edge to it that makes it a more modern shade of red. It’s still red, but it’s not the same red that you saw your mom wear when you were growing up. The woman who’d wear this red doesn’t seem like the kind of woman who’d clutch her pearls in distress. Or something. You get the idea. 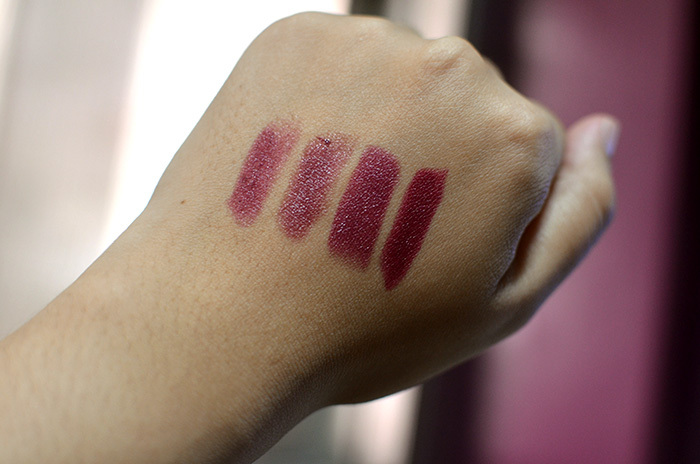 These lipsticks have a beautiful texture, which I guess is a good thing considering these come at $19.71 a pop. It’s a satin that goes on really smoothly, with a great amount of pigment and, weirdly enough, great precision, too. I didn’t need to use a lip liner for this and I got a great line, straight from the bullet. The combination of a Strong Brow & a Matte Lip is the first thing that came to mind when I saw this color. It’s such a statement shade already that you don’t really need to do much anymore, but I think that full brows will help anchor the look, especially if you don’t have much else on your face. 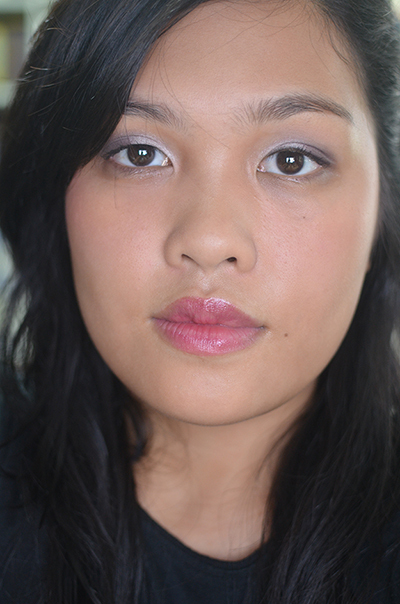 Kine paired her matte lip with smoky eyes, so check her look out. I’ve opted to wear a neutral look with a matte stain. For a deep matte, apply the lip color and dab a bit away with tissue. Apply the shade again and dab. 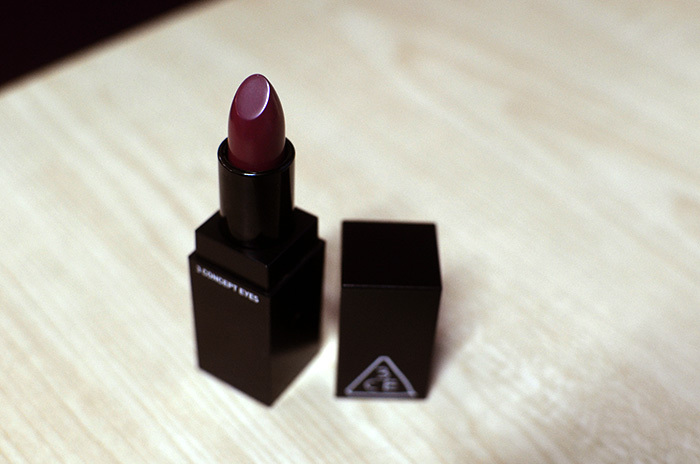 Instant vampy matte! Another way is to wear it under gloss. It’s not vastly different from the previous method, but if you have a light or super sparkly or frosty gloss with nuances that needs to be shown off under a darker base. 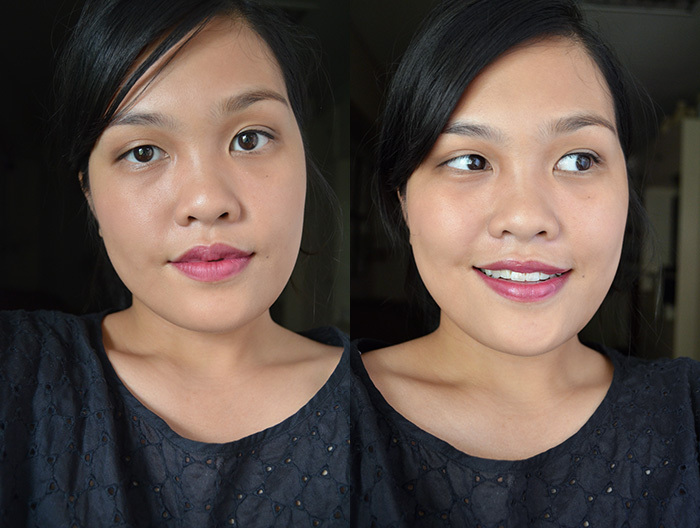 Here, I’ve worn it under the Le Métier de Beauté Lip Crème in Crème de la Crème and MAC Lipglass in Flight of Fancy. 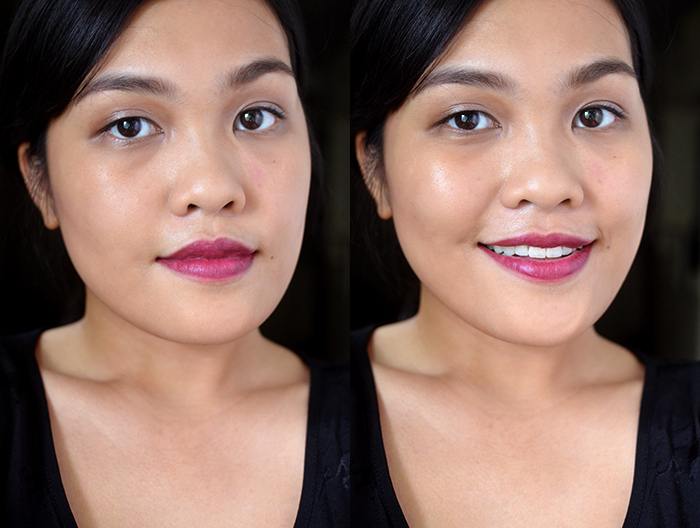 Last but not the least, a method that I rarely implement—Gradient Lips. I have a tendency to appear corpse-like with this technique, you see. My solution is to keep everything else simple but choose another feature to highlight so that the focus is split between the gradient lip and the other feature of choice. For this look, I opted for a really bold liner look. To achieve gradient lips, just cover your lips with concealer—at least the outer part—and then fill in the insides with the lip color of choice. Use a lip brush to blend the lip color outward, towards the edges of the mouth, and into the concealer ring. 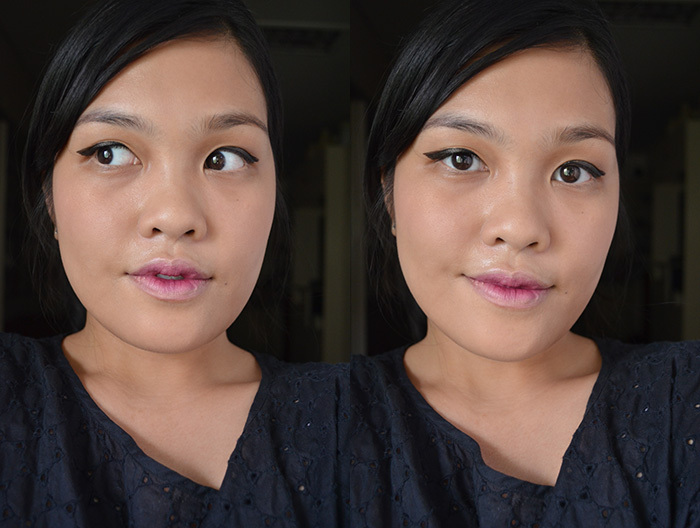 I think this is way too light for me (it has to make your lip color close to your skin color), but you get the idea. 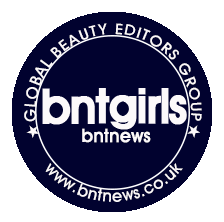 I honestly think that the bold liner frames the face and anchors the severe look of gradient lips, which can at times look severe. What do you think? 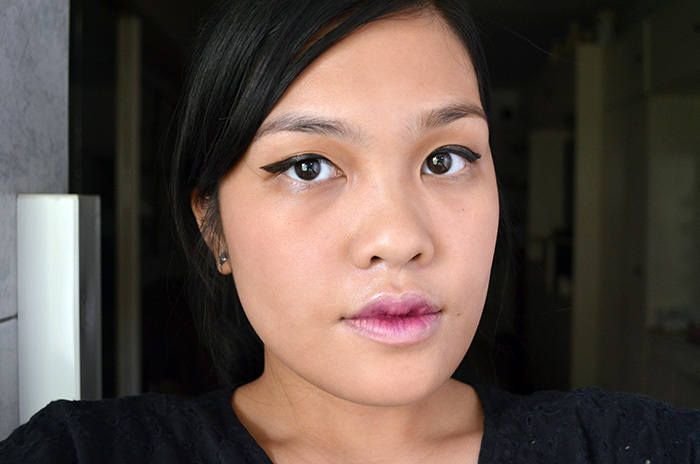 Do you wear this type of gradient lip? If you ever wanted to try anything from Stylenanda’s 3 Concept Eyes cosmetics line, I can vouch for the awesome quality of both the lip color and the eyeshadow singles. Vamp is available here. * Items provided by BNTNews. All opinions are my own and 100% honest. It’s really pretty! I want more huhu. Medyo mahal no? You look so pretty in purple!! The look with strong eyebrows is just flawless! This would be a great makeup for Holloween! HAHAHA I DON’T KNOW WHAT THAT MEANS!!! !